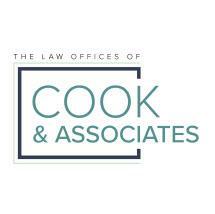 The attorneys at the Law Office of Cook & Associates are known as much for our knowledge and skill as we are for our compassion and commitment to excellent customer service. Located in McCandless, we accept clients from all over the North Hills, Wexford, Gibsonia, as well as throughout Allegheny and Butler Counties. Our attorneys can assist you with any of your family law needs, including divorce, the division of assets and debts of the marriage, child custody, child support, alimony, alimony pendente lite and spousal support. In addition to family law, we offer estate planning, and probate and estate administration, small business administration and mediation. We believe that our job as attorneys is to solve problems and not create them. We strive to resolve disputes with as little conflict as possible and without destroying families in the process. Not every case can be solved amicably, so we are prepared for those more contentious cases as well. But, it is almost always worth trying to come to solutions without dragging everyone through court. Our attorneys and staff also understand that clients often seek our guidance during the worst times in their lives. They can be worried and overwhelmed by whatever is going on in their lives and by the thought of having to tackle the legal system. We do our best to guide clients during this time and find a satisfying resolution.